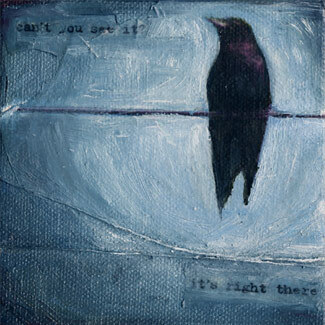 Crow Dream mixed media, oil, 4×4 inches. You know when something that happens in real life intersects with a dream and the combo just hits you in the chest? Life altering, even. Something like that happened a while ago and inspired this 4×4 inch mixed media piece. dream and reality combo...hear you.